I am rooted in the South. My grandparents’ old farmhouse in Olanta, S.C., is the home I share with my wife and our two sons, on the same 100-acre farm where I grew up. Dad’s seed-and-fertilizer business where I worked as a teenager is now my photography studio. My career has taken me up and down the East Coast, but I settled where I started. My first brush with photography was the SLR camera I received as a gift at age 12, a classic Pentax K1000. Countless hours in the darkroom taught me the ins and outs of processing film and printing photos. After earning a B.S. in business management from Clemson University (Go Tigers! ), I spent a year in New York, working as a photo assistant for fashion, portrait, and product photographers and dabbling in TV commercials. Back home in South Carolina, I have focused on editorial and advertising photography for clients across the country for more than two decades. I specialize in authentic portrait photography, capturing my subjects in settings that reflect their unique character. I tailor my portraits to suit my subjects, in both studio and location shoots. My aesthetic shines best in environmental portraits, with straightforward and clean settings that showcase interesting people in honest, flattering light, free of trendy distractions. I devote full attention to the smallest details in every shot, and I lean toward minimal postproduction refinements. 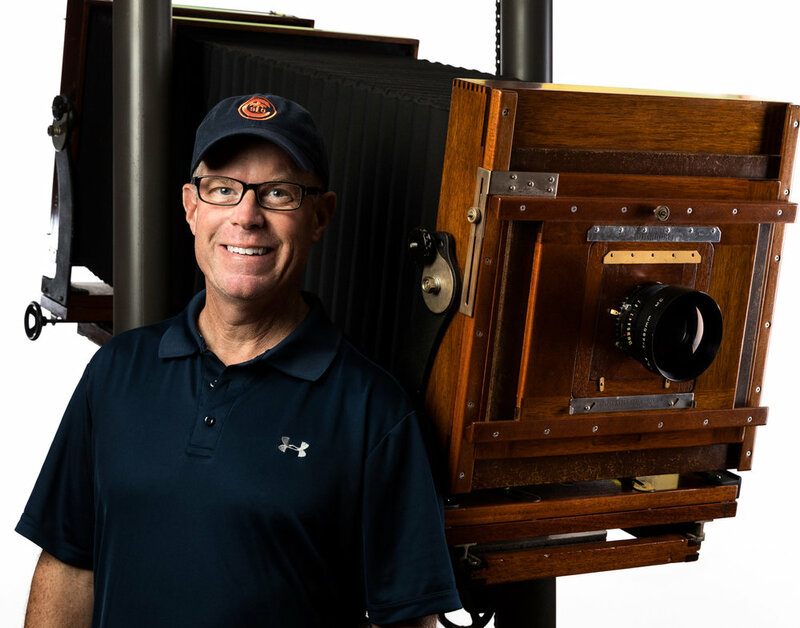 For personal projects, I enjoy the creative challenge of shooting in large format film. My photos have featured CEOs, scientists, doctors, diplomats, World War II veterans, and world-class athletes. It’s been my privilege to work with an array of personalities, from the everyday to the elite. When I’m not behind the camera (and sometimes when I am), you can find me hanging out with my family, fishing, shooting clays, hiking, biking, watching Clemson football, indulging in amateur astronomy, tutoring math students, or raising chickens.